The Irish low-cost airline Ryanair has taken 100% ownership of its Austrian subsidiary Laudamotion. Ryanair had initially purchased 24.9% of Laudamotion’s shares last March and then raised its stake to 75% in August. Laudamotion announced yesterday that Ryanair acquired the remaining 25% of shares from Niki Lauda in late December. Laudamotion Airbus A321-200. Interestingly, the airline kept the Air Berlin livery on the tail. Photo: Wikimedia. Let’s take a closer look at Laudamotion. Laudamotion is an Austrian low-cost carrier. The airline was originally founded in 2004 under the name Amira Air. In 2016, Formula 1 legend Niki Lauda took over Amira Air and changed the name to Laudamotion. However, this was not Niki Lauda’s first venture in the aviation industry. He previously owned Lauda Air, which merged into Austrian Airlines in 2012, and Niki, which merged with Air Berlin in 2011. 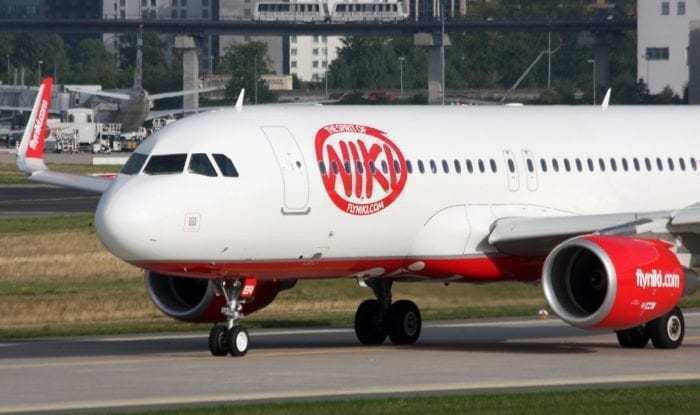 After the demise of Air Berlin and a failed merger with Lufthansa, Niki ceased operations in December of 2017. Nevertheless, in January of 2018, Niki Lauda once again became the owner of Niki when the airline was taken over by Laudamotion. Niki was founded by Niki Lauda in 2003. Photo: Wikimedia. According to its website, Laudamotion currently operates a fleet of 19 Airbus aircraft (including A320-200s and A321-200s). The airline’s headquarters are in Schwechat, Austria (right outside Vienna). Its main bases are in Austria (Vienna International Airport) and Germany (Duesseldorf Airport and Stuttgart Airport). Laudamotion serves 49 destinations in 18 countries including Spain and Greece. The purchase by Ryanair has opened up new growth opportunities for Laudamotion. The low-cost carrier is planning on adding several new aircraft. As a matter of fact, Laudamotion’s fleet is expected to grow from the current 19 aircraft to 25 this summer and 30 by 2020. Interestingly, Laudamotion will continue to operate a fleet of all narrow-body Airbus aircraft. Ryanair, on the other hand, operates an all-Boeing fleet. 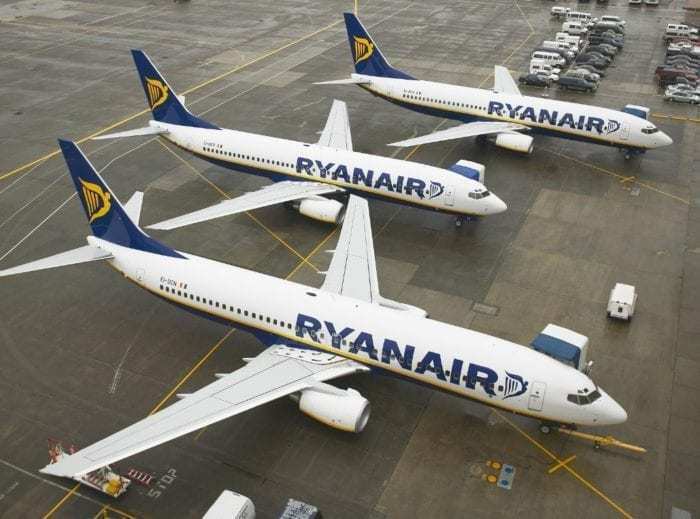 Ryanair currently operates a fleet of 439 Boeing 737 aircraft. It has placed orders for 135 additional 737s. Photo: Ryanair. Furthermore, Laudamotion will offer new routes starting this coming winter. The new routes will provide additional service to and from Vienna, Stuttgart, Duesseldorf, and Palma (Spain). Reportedly, the planned expansions will allow Laudamotion to increase its number of passengers carried from 4 million in 2019 to 7.5 million by 2021. Moreover, to facilitate the growth, the airline will hire additional personnel including pilots, flight attendants, and technicians. Supposedly, Laudamotion will increase its staff by as many as 400 employees by 2020. Although Laudamotion will post a net loss of approximately 150 million Euro for its first year of operations, the airline is expected to break even in 2019. Starting in 2020, Laudamotion should be able to operate profitably. Laudamotion has announced that Niki Lauda will remain the chairman of Laudamotion’s board despite the acquisition. Ryanair has not disclosed how much it paid for Laudamotion in total. Nonetheless, as reported by Simple Flying, Ryanair paid slightly less than 50 million Euros for the 24.9% of shares it acquired initially. Even though Ryanair has been named the worst short-haul airline in the world, millions of passengers keep coming back due to its low prices. We do not know what plans Ryanair has for Laudamotion in the long run. However, it will be interesting to see how Laudamotion ultimately fits into Ryanair’s strategic plan. Do you think that Ryanair’s acquisition of Laudamotion was a smart move?